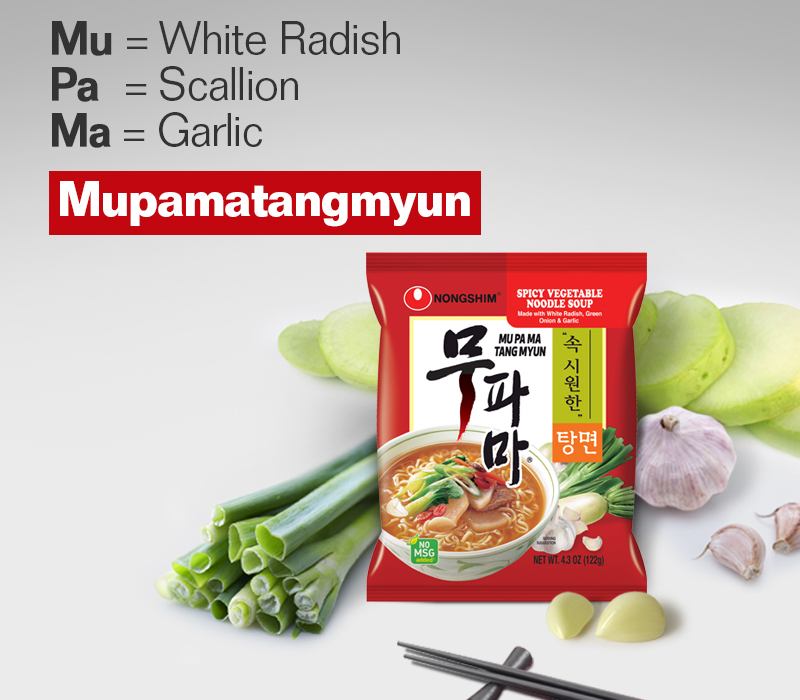 Mupamatangmyun features refreshing soup broth as made with natural ingredients such as radish, green onion, and garlic. Made from radish, green onion and garlic which were traditionally used to make broth in Korea, these noodles feature rich vegetable flakes and a refreshing flavor. - Rich vegetable flakes such as radish, green onion, garlic and chili. 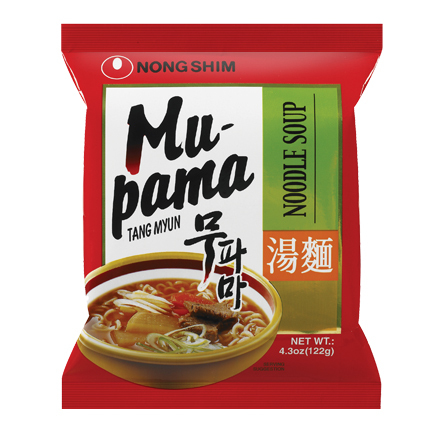 - Chewy and particularly plump noodles. 3. Remove from heat, stir in the seasoning powder (yellow pouch) and serve.